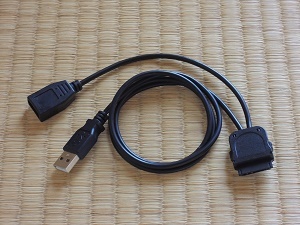 USB host cable for Fujitsu F-07C Windows7. (1)This is connected to the terminal cradle of Fujitsu F-07C, to realize the capabilities of a host. also to connect (LAN) communication, in your own home. (4)Connect the AC power to the F-07C, when you use this connector, please charge state. (5)Installation with an external DVD drive is possible. (6)If the power such as a mouse is insufficient, it is available by the state to charge the F-07C body, and going through a USB hub. (7)If you connect a USB hub to power, power to the equipment while USB,You can charge the body F-07C. (8)In addition, there is a thing by USB devices will not work. (1)Handmade for those manufacturers do not have that guarantee. Depending on the return only when you receive the initial failure. (2)When returned goods will be paid by the shipping round trip shopnojo. (3)Can not support even if there is trouble in the body and connected devices and data F-07C. Charge, use at your own risk. Sold out. Contact us by e-mail We accept.